Are there any movie genres that are more, well, generic than films about young, struggling musicians (and perhaps sports films)? Even the best films about musicians tend to follow the same story beats: a talented young person’s struggle against all odds, personal sacrifice to reach the top, stern but well-meaning teachers, following your dreams, making it at the big competition, that sort of thing. Whiplash was admirable for how it avoided the clichés in some ways and reinterpreted them in others, eschewing the feel-good ending for something considerably more ambiguous, but it’s a rarity in the genre. Miloš Forman’s Amadeus, a movie that doesn’t receive anything near the recognition it deserves these days, is even more of a rarity. Here is a film that at a superficial glance would seem to fit three of the genres most prone to cliché and lazy filmmaking: the music film, the period drama and the biopic. However, while it may flirt with these genres, it is beholden to none of them. It doesn’t purport to be Mozart: A Life: The Film, nor does it tell a straightforward, inspirational story of artistic triumph, and while it isn’t immune to the attraction of period detail, it’s decidedly not about giving the audience a touristic trip to picturesque 18th century Europe. 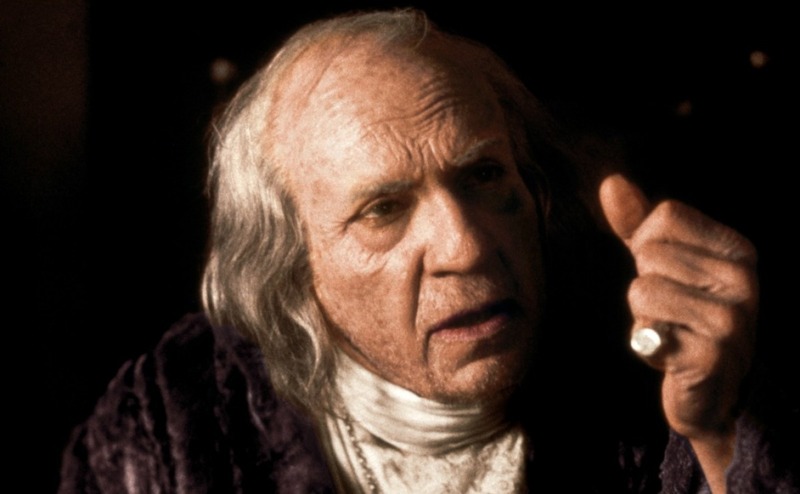 In fact, Mozart isn’t even the film’s lead; that honour falls to Antonio Salieri, in a performance by F. Murray Abraham that is still breathtaking. Quite literally, Amadeus begins and ends with him, a man who chooses to defy God out of a heady mix of spite, envy and spiritual crisis. The movie’s Salieri is a second-rate musician and composer at best, yet he has the ear to understand that this new kid on the block, Wolfgang Amadeus Mozart, is an immense talent. For Salieri, God speaks through Mozart’s music – yet Wolferl himself is a vulgar brat. What kind of God chooses not the diligent, devout (if more than a little vain) Salieri as his instrument but a manchild giggling madly at toilet humour? It is this metaphysical insult to his ego that fuels Salieri’s wish to destroy the musical genius – like a petty child that would rather destroy that which he cannot have entirely for himself. How much further could this be from the variation on the dreary hero’s journey that is the common-or-garden-variety music film? Salieri isn’t the antagonist standing in the hero’s way: he is the protagonist, and we watch as he successfully destroys a man whose only crime is that he’s better at what he does than the bitter, self-centred main character. And what makes this more tragic is that Salieri, for all his poisonous pettiness, has enough self-awareness to understand what he is doing. As his plot progresses and as he fuels Mozart’s own self-destructive side, he begins to feel unexpected pangs of conscience. His destruction of the young genius birthes an amazing work of art, Mozart’s Requiem, yet it also destroys the conduit for this art, in an unhealthy relationship that isn’t entirely different from the sadomasochistic teacher-student dynamic of Whiplash. In destroying Mozart the man, Salieri becomes midwife to Mozart the legend. And therein lies the razor-sharp irony of Amadeus. Salieri is a man painfully aware of his own mediocrity, and in his sacrilegious envy he destroys Mozart, being the only one at the time to recognise his genius for it he is – yet in death, the composer becomes the iconic genius, while Salieri is all but forgotten. Just as it begins, the film ends with a forgotten old man who, after a fashion, killed his beloved nemesis but who cannot even kill himself; he is spirited away to an insane asylum, where we see him relating his blasphemous tale to an idealistic young priest and preaching to the insane, the self-styled patron saint of mediocrity. In terms of its plot, and in comparison to the conventional music film, Amadeus is pretty far from inspirational – yet as an example of cinematic art, it’s joyous. It looks beautiful without succumbing to the superficial prettiness of so much period drama. The writing is witty and powerful, delivered by the actors with the right blend of naturalism and stylisation. Abraham is a sublime Salieri, moving from sly irony through self-pity to toxic hatred with an ease that is gorgeous – but the other performances, while mostly requiring less of a range, are just as impressive. Hulce’s Mozart is infuriating, oblivious and heartbreaking in equal measure, and the smaller roles are spot-on, especially Jeffrey Jones’ hilarious performance as Emperor Joseph II. All in all, Amadeus is a classic of a kind that is rarely made these days and that deserves to be better remembered than it is – not least because, like Whiplash, it is a fantastic corrective to the generic, utterly conventional music films out there.